Hi all! I just found this cute little card and wanted to share it with you. It's a 1960's vintage die-cut Valentine card. 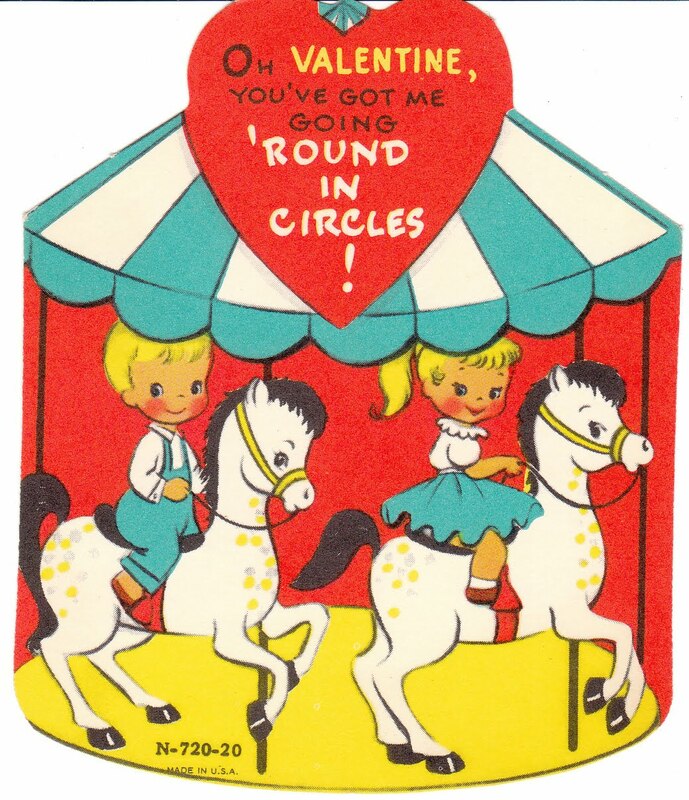 There's a bright, colorful carousel with the words: Oh Valentine, You've Got Me Going 'Round in Circles! 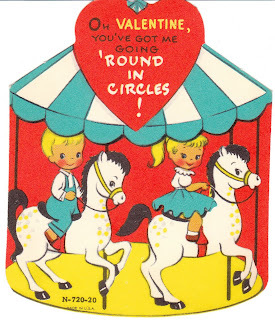 Such a true example of 1960's children's Valentines ... and oh so cute!